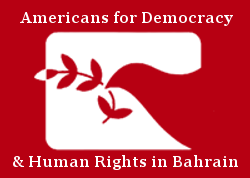 World | 14 November 2018 – Americans for Democracy & Human Rights in Bahrain (ADHRB) and their Coalition partners have been advocating for the immediate and unconditional release of women human rights defenders arrested in Saudi Arabia since May of 2018. However the Saudi Arabian government has continued to silence and oppress women human rights defenders while leading the war in Yemen, resulting in the deaths of thousands from injury, starvation and disease. As global citizens we must call on our governments to suspend their arms sales to Saudi Arabia and demand the release of Saudi activists. Over 10,000 Yemeni civilians have been injured or killed by Saudi-led coalition airstrikes. According to the UN Saudi-led coalition airstrikes have hit residential areas, markets, funerals, wedding, detention facilities, boats and medical facilities. Perhaps most alarming is Saudi Arabia has purchased more than $2.6 trillion worth of arms from the United States, Canada, France, and the United Kingdom among other countries. It is imperative that counties stop providing Saudi Arabia with deadly arms. At the same time at least 15 Saudi women’s rights activists have been jailed since May 2018 for demanding an end to the male guardianship system; a system that renders women legal minors. Furthermore these activists have been banned from accessing lawyers and many have been unable to speak to worried family and friends. Email the contacts listed on the Women’s March Global campaign page using the email template provided. Bcc action@womensmarchglobal.org so the amount of emails can be tracked. Share the action on your social media. Sign the petition calling on the United Nations to hold Saudi Arabia accountable.